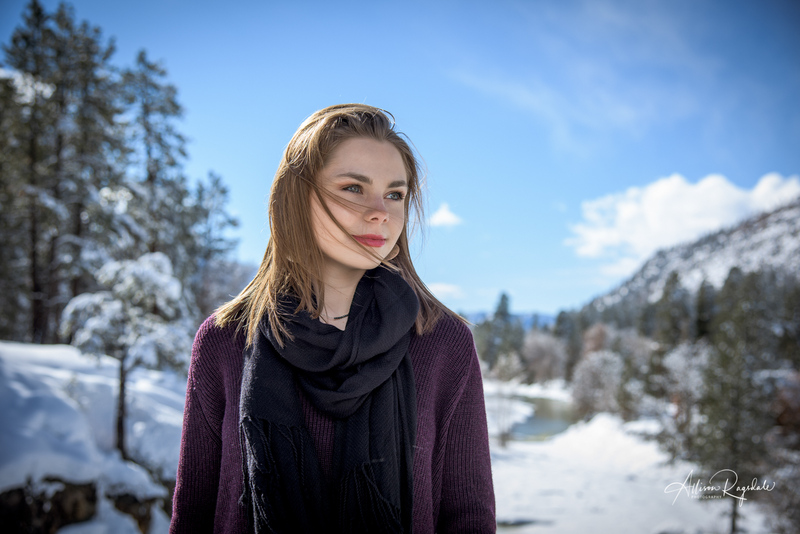 Cassie (Cassandra) Folkerth is another of our incredible Class of 2013 Senior Models from Durango High School. She came in last week one afternoon after school for her model session. It had been raining/snowing/sun shining throughout the day, so we didn’t know what the session would be like, but we went for it anyway. And it worked out perfectly. The sun came out for a bit, we had some nice pretty soft light from the cloud cover, and we were “forced” to find some cool new places inside to shoot. Matt had actually discovered a new indoor location earlier in the year and we finally got to use it and it’s so cool. I had also found one of the last few blooming crab apple trees in town, so we used it too. We started at Hair Fusion and Cassie had a great time being pampered by Kristy and Lacey. She looked so beautiful and I learned some cool new make up tricks for blue eyes (not that it helps me any since I have green eyes, but that’s ok). We started the actual shooting of the session in the studio, then headed outside to the amazing lilac bush right outside the studio in our neighbor’s front yard. Then we headed over to the blooming trees and our cool new “top secret” indoor location. I’m sure if you’ve been there, you know exactly where I’m talking about. We finished the session in the studio as well and had a great time the whole time. Cassie was so much fun to work with and photograph. She is so positive and funny and she knew how to work it for the camera too. Such a natural. Thanks for such a great session and I hope you love these few of my faves!